First off I must say a big WOW! Wow, wow, wow, wow! I am overwhelmed by all of the support I have received from you all, my readers! Over the course of the last few days I have had almost 8,000 visitors to my blog and I am truly shocked and overwhelmed! So thank you all for your support! In light of my most recent post No Words, many of you were so very understandably angry at how something like this could happen. The answer is simple, God gave us free will. He allows us to choose, without intervening. And when evil takes hold on someone and they act in an evil way towards someone else, God cannot do anything to stop it even though His heart is breaking. That was a really hard lesson for me to learn and accept. But I too was so angry once, still am, but now I get it. It isn’t God’s fault, it’s ours (as people). So WE must rise up to change it. I truly believe He will bless us and guide us step by step, as I have seen Him do in my own quest. His love for these sweet kids, in every situation around the globe is so immeasurable. He has not forgotten them. Every hair on their head is irreplaceable to Him. Truly at first I did not have an answer. I myself have been waiting for God to point me in the next direction, an action direction. But then I started thinking about it and I think I have the answer, or at least an answer for now. Folks there is so much you can do to help. The need is so overwhelming and the feeling of not being able to do enough to make a difference is common. So I am going to give a simple list that may point those wanting to help in the right direction. First off, prayer is HUGE! I cannot stress this enough! God sees every one of these children and cares for them deeply and passionately. They are His children. He loves them the same way I love my own children. They are of His heart and I know it aches for them and their plight. When you pray for them, He hears you, every time. So pray fervently and trust that He is listening, loving and helping. Secondly, Educating yourself and sharing what you know can help. We are power in numbers and can reach so very many closed minds with this knowledge. I have spent so much time and tears writing the information contained on my blog and encourage you to read read read. Then, share what moves you. Don’t be afraid of those who say they “can’t or “won’t” look at it, just share without fear. When you share, it could save a life. You could be playing a pivotal role in an orphaned child finding their forever family. Helping to open ones heart to a world they may never have known otherwise, and finding their child who has been lost in the system. Or perhaps find their true calling. All because YOU shared. Check out: http://reecesrainbow.org/waystohelp . Reece’s Rainbow is a huge and amazing organization who loves these kids greatly. This adoption site has all kinds of ways you can help these kiddos. Pleven is known as one of the worst orphanages there is. So many children perished there from pure neglect and starvation. I have had the privileged of talking with adoptive parents whose children barely made it out of there with their lives and are now thriving and loved to peices! Luckily the condition of one of these kids made it to the spotlight and changes have begun! 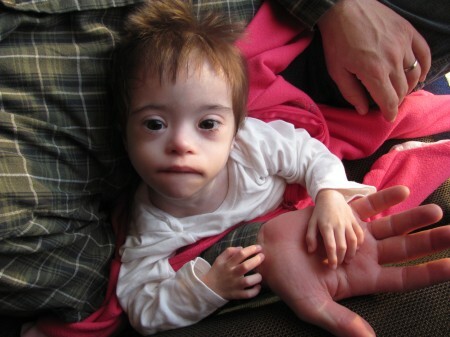 You can read about that lovely child, little Katie who came from Pleven, here : http://theblessingofverity.com/2013/12/god-won/ . Pleven has now launched a new program as a way to let others help them meet the great need in this place, which you can see here: http://www.plevenproject.org/ . You can also read about it here: http://theblessingofverity.com/2013/12/the-p-l-e-v-e-n-project/ . Well folks I hope that this helped to answer some of your questions. Please don’t hesitate to ask if you have more! Thank you all once again! I truly believe that if we are willing to step out in faith and do something, anything, we can make a difference to even just one child. All of these abandoned, abused, neglected children who are seen by those responsible as trash, are really precious treasures just waiting for a chance. Posted in Baby Steps, How can you help? and tagged abuse, Advocating, Answers, Awareness, Beautiful things, Calling All Prayer Warriors!, children with special needs, Eastern Europe, Helping, How you can help, Orphanages, Orphans, Pleven, Pleven Project, Prayer, Questions, Reece's Rainbow, Survivor, Wide Awake. Bookmark the permalink.